Porsche Design P'8478 - Gold Need Help? The Porsche Design P'8478 Aviator sunglasses were originally Launched in 1978, known as "the exclusive" or “Exklusivbrille” (exclusive glasses). 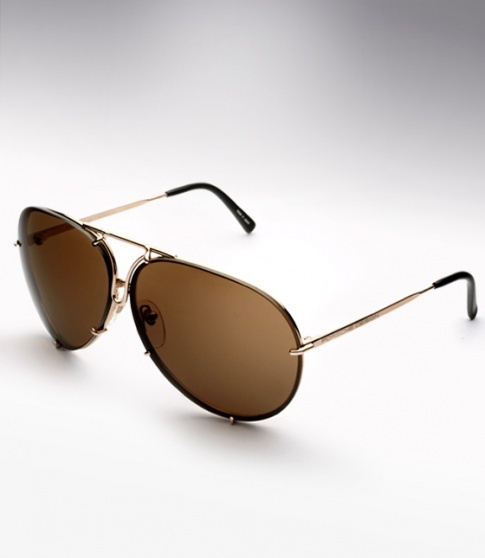 These Porsche aviators are one of the most famous and easily recognizable sunglasses ever made, and have been a symbol of wealth and prestige since their inception. The P'8478, comes with 2 sets of lenses that are easily switched in and out in seconds. One set with a flash mirror the other solid. Unbreakable polycarbonate lenses back coated with a multilayer anti-reflective coating.